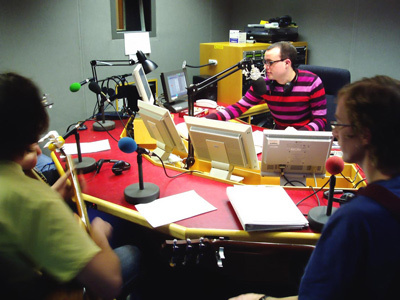 Radio is about people, and getting people to talk is the most basic job of a radio presenter, researcher or producer. Working in radio you will talk to a very large number of people on and off air. On air it is important to get the most out of every contributor. Questions need to be tailored to the needs of the programme and to what the audience expects. You have to help the contributor to do this. You may be talking to someone who has never before been interviewed on radio. You want that person to tell you their story in a coherent, natural way. You want their words to flow, and their answers to your questions to seem natural and unforced. As an interviewer you will always have to work hard to obtain a really good performance from a contributor, but there are key techniques that can help. Find out as much as possible about your contributor. What sort of person are you going to be talking to – young, old, famous, unknown, an expert, someone with strong opinions. You will find out a lot about a person when you ring them up to arrange the interview. Does this person ‘umm’ a lot or hesitate between words? Does he or she answer your questions confidently? Does this person want to be on your radio programme? Know exactly WHY you’re doing the interview. This is called “focusing” your interview. What exactly do you need to know from the person you’re interviewing? The clearer you are about what you want to know, the clearer it will be for your listeners. Prepare your ‘open’ questions in advance –see below. Keep your questions short and tight. Listeners want to hear your guest, not you.